There’s talk of constitutional reform. A lot of talk. There’s talk of what should go in and what should be taken out. People were appointed to gather ‘public opinion’ and the gatherers, as always, represent a particular segment of the entire ideological spectrum. A tiny segment, let’s remember. But since it is ‘public opinion’ that is filtered by panels that are essentially made of people who share such slant, it makes it easier to say ‘this is what the people say (not us)’. “Accountability for the war crimes allegedly committed in the last phase of Eelam War IV must be established before the Sri Lankan government formulates a new constitution,” he insists. There’s more: “The constitution planned by the government will not be drafted to the Tamils’ satisfaction unless accountability issues were satisfactorily addressed prior to that”. An interesting theory that. As a former judge of the Supreme Court, no less, would know that one does not necessarily follow the other or rather the absence of one does not necessarily imply that the other is doomed (in terms of the outcome that he, Wigneswaran, prefers). On the other hand, to the extent that Tamil nationalists in general have viewed (erroneously) the state to have some kind of Sinhala-slant and have seen any ‘solution’ that doesn’t deliver all demands as the end result of deceitful intention, Wigneswaran is merely robbing lines from his chauvinistic forefathers. To be expected, one might say. After all, could there ever be any ‘solution’ this side of ‘Eelam’ that would satisfy such people, even if they call themselves ‘moderates’ when they consider Prabhakaran a hero and are loathe to acknowledge the fact that the LTTE is a terrorist organization which killed their ‘moderate’ forefathers? Strip his ‘concerns’ of Eelamist baggage and Wigneswaran actually has a point, i.e. on the issue of ‘satisfaction’ and not ‘accountability’ and certainly not about the whether or not part of it which is all about conjecture. First, let’s talk accountability (‘again’ I should add, for it is a word that is tossed around a lot and in extremely careless ways). There’s a key term that the likes of Wigneswaran interject into the ‘accountability discourse’: last phase (of the Eelam War IV). If human rights godfathers and godmothers were to time-travel back to the eighties and nineties (but especially the eighties), enter ‘defencee briefings’ during the tenures of J.R. Jayewardena, Ranasinghe Premadasa, D.B. Wijetunga and Chandrika Kumaratunga, they would be horrified. Well, the truth is that they already know about all that. But if we are talking about accountability, then all crimes against humanity, all extra-judicial killings, each and every case of abduction and torture should be investigated. 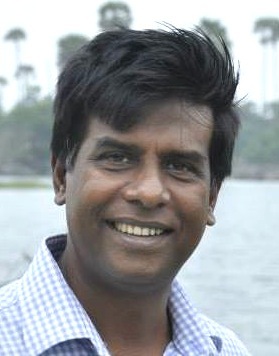 For example, the murder of Kumar Ponnambalam (how about say a fraction of the zeal demonstrated to find Lasantha Wickramatunga’s or Thajudeen’s killers being shown in finding the Tamil Congress leader’s murderers?). Even if we were to leave aside such ‘random’ cases (and we should not, by the way) there were ‘general instructions’ that were given to commanding officers at every level of the military apparatus. There are probably many senior military officers still in service (and other retired but still alive) who could speak of that time and how things were done. A lot of people died. Are their lives less important than those who died in the ‘last stages’? Should not those responsible for designing the counter-terrorism measures adopted by the respective governments be held accountable? Or else, is it a case of crimes committed more than, say, 10 years ago worthy only of footnoting or les? Well, if that’s the case then all that anyone scared of ‘investigation’ should do is to ensure that things get dragged for another three years. That’s how justice works? No. That’s wrong. We are talking about a 34 year long war (from the killing of Mayor Duraiappah to the elimination of the LTTE’s leadership in May 2009). Even if Wigneswaran is only bothered about those who were killed in the hostage rescue operation carried out in 2009, the larger interests of justice are not served by limiting investigation into a particular time-slice. Neither would it be served by an accountability discourse that appears to be fixated on fixing a single party in a war where multiple forces were engaged in. So it cannot be only Wigneswaran that wants ‘accountability’. I, for one, wants accountability issues addressed with respect to all war crimes committed by all war criminals, including assassinations and including the 1988-89 ‘bheeshanaya’ (Period of Terror) and including the operations of the Indian Peace Keeping Force. I could say ‘do that before you talk about constitutional reform’. Maybe I should, considering the machinations of a motley crowd of federalists who suffer from Sinhala-phobia and are anti-Buddhist that are in the thick of stirring this reform soup! Now for ‘satisfaction.’ What on earth made Wigneswaran think that constitutional reform is nothing more or nothing less than an exercise to satisfy ‘Tamils’ as per his own longings? Constitutional reform cannot be reduced to satisfying the aspirations of anyone at the cost of robbing anyone else. It cannot be an exercise where land theft is legalized in the name of ‘reconciliation’. It cannot be an effort to paint myth as fact or history. Outside of all this, which is the language of separation, constitutional reform has to be about democracy and therefore addressing issues of representation and accountability. Giving Wigneswaran several pounds of flesh just to satisfy his chauvinistic greed will not yield political stability. It will not yield reconciliation. It will not only neglect serious flaws that have little to do with communal angst, it will certainly fail to satisfy other communities. Trying reconciliation after that! There have been two occasions when Governments thrust amendments down the people’s throats, once at the behest of the island’s historical enemy, India (The Indo-Lanka Accord of 1987) and once by a leader who sought to rule until death (the 18th Amendment). The first saw anarchy unleashed. The second was overturned through an election. If there’s a rush this time by a minority of leaders suffering from ignorance about history and other hang-ups (evidenced by anti-Buddhist, anti-Sinhala sentiment) to satisfy communalists such as Wigneswaran, it is 88-89 that could get repeated, not January 8, 2015. Satisfaction. Yes, that’s important. It has an antonym. Several in fact. Disappoint. Dismay. Disillusion. All of these can slip into something more than a knitting of eyebrows or a sign of resignation. Wigneswaran and the Tamils in this country have a say and they need to be listened to. Their proposals must be taken up and assessed on several counts including the true dimensions of grievances and the relevance of ‘solution’ to stated ‘problem’. They don’t, however, make up the entirety of the population. That cannot be ignored either. Just like accountability, satisfaction annot be cut into convenient slices and dished out selectively. Does not yield peace or reconciliation. Anarchy, though, could be expected. *Malinda Seneviratne is a freelance writer. Email: malindasenevi@gmail.com. Twitter: malindasene. Blog: malindawords.blogspot.com. Isn’t it time you crawled back into that hidey hole where you belong? After all, unlike perceived enemies of your patrons, the Rajapaksas, you are in no danger of being dug up, hung, drawn and quartered as you deserve to be for your contribution to the misery that your patrons visited upon this land for far too long. Or isn’t that compensation enough? Does one need a “laptop to go” to seal such a deal? Obviously this Vanderpooten does not understand. Maybe he doesn’t, why don’t you spend some time teaching him what/how he should understand Malinda’s gibberish as typed by him? Now tell us what did you understand from the above typing. Pooten, I never thought you are mad. This insane Rajapaksha hatred has totally clouded your judgement. That is not my problem – my concern is this has become the the biggest stumbling block to move forward. Sinhalese even don’t hate Prabakaran to this devilish level. Before the elections you people cried horse over number of ministers, appointing friends to independent institutions, environmental disater that is port city, Chinese loans etc.etc. Where are those of your fellow civil society, NGO ******* now? Malli, it is not what you do, it is who does it. Knowing that 5.5 milion Sinhala Buddhists voted for Rajapksha we sense where your devilish hatred is directed at. Your agenda is to set up a permanent wall between the minorities and the majority by keeping this flamme of hatred alive. You created this canard to chase Rajapksha away and you got your results. Now let the government deliver some of their promises over rice and daal. Health and Education. Who am I to teach you English – your native language and mother tounge. Take your glasses of dark hatred off and read this article again. It is not only the LTTE that deserve justice, we too. At the back of your mind you KNOW what this process of selective justice will do this country. Well said Soma. As for Emil ‘the wondering impotent’ has proved he is impotent when it comes to writing due to his blind hatred ed of the Rajapaksas. Yet CT keep giving him space for his ‘puss wedillie’ = blank he shoots! From where you stand all the sane people seem mad! From where you stand you see all the mad people sane! will you be kind enough to tell us why he should crawl into his hidey hole if as you claim there is no danger of all those things you seem to know quite a lot about! Also it is baffling you couldn’t you find some Sinhala Buddhist connection. CT. YOU ALLOWED HIM TO BRING SINGHALA BUDDHISTS IN AN UNRELATED ESSAY. The truth hurts when it does not suit your agenda doesn’t it. Don’t be stupid and shout at the messenger with childish comments. As usual your fellow CT readers will cheer you on. There are many problems with the politicians not just the one you chose to hate. As far as I am concerned we have a peaceful country, good government (could be improved), and all the world is our friend. So what more could we want? I am sure Mr. W’s concerns will be peacefully adressed and quietly implemented without any violent protest. Maybe some hooting will take place, but these are foreigners who are hooting, not us. Yahapalana Investigations are different..These investigations have a specific target to nail.. The target is not the actual killers, But, to by hook or crook to get the killers to confess that Rajapaksas gave the orders. I think Batalanda Ranil and the Bedouin Prince are on the same wave length on this. That is why Bedouin put the genocide investigation commencing date as 2006.
Who killed Ponna !! Even Samba wouldn’t be interested, let alone Batalanda or the Whiskey Madam. That is it mate.. we have to live with it. Don’t worry mate.. It wouldn’t make any difference..
Yahapalana suckers are happy to even get Hindian Gynos to deliver their babies for the Free Market and Private Unis too, to be run by Indians. And allow Batalanda to chase our Sinhala doctors to collect blood samples, to check lipids and serum levels of your mates in the Diaspora to ensure they stay in good nick to visit their Federal Eelaam..
i dont think you could ever call Native ” as mate”. You have not the least common with him. You are most known disgrace – MR appologists that would even live onthe Rajakashe extrementa on your surivival. Please Native, leave this man s all low level comments regardless of what it is. Though you didn’t know about it you have been lost for some time now. Of course I was in the thick of a jungle surrounded by huge trees. Of course Malinda, there will be a segment that filters and admits what ought to be so. In your master’s government there would be a white van that filters out people, not their ideas. We all know you thought the world of your cheap Dell laptop and the cash for coffee you received. So go back to your right wing extremist master and write his biography or something and get paid. You write crap; yet you still believe you are some journalist that history would revere! What a psychological complex you suffer from! Pity you. Yeah, rescue operation, my foot!! Go and find a place next to Rajapakses. Look at your foot man! do you see anything? Can anyone provide the number of bombs dropped in North and East of Srilanka, and the civilians killed as a result of it between 1990 & 2000. Or please let me know where I could gather this information. Oh you start with 1956 !! Anti Tamil violonce !! Nothing will happen !! For the betterment !! Of the country !! Citizens !! Tamils !! They were only talking !! Since 1947 !! Many promises !! Many agreements !! With locals !! International community !! And then going back !! Talk again !! Oh why not start from 1956 ! !Aniti Tamil violence !! Nothing will happen !! For the betterment !! Of the country !! Citizens !! Tamils !! They were only talking !! Since 1947 !! Many promises !! Many agreements !! With locals !! International community !! And then going back !! Talk again !! I would like to make a request to Malinda, Can you please give your assessment of the past since independence? Accountability is something that is promised but not extended to Tamils in Sri Lanka. Judicial neutrality to ascertain accountability is often slanted to favour the Sinhalese. Wigneswaran was a judge and he knows the judiciary well. This experience over the past several years, made Tamils to be so sceptic about accountability that they still firmly seek foreign judges to adjudicate war crimes in SL. The implementation of the constitution of a country requires absolute accountability. What Wigneswaran is saying is “The proof of the pudding is in eating”. Show that you can respect Tamils and be accountable, then we can trust you for a constitution in SL. As a journalist, you very well understand what kind of game Sri lankan politics is. Wigneswaran is part of that too. It seems he likes that game. Once he was in the hospital with chest pains and panic attacks. Now, he has learned the game and he is playing it well. You are just fooling readers here. What happens to any one is not because he huffs and puffs. It is because he deserves what he gets. One cannot decide what he gets and what he hates. One can only wish what he wants and what he hates. You have to do good to get good. If you do good to one by stealing from another you deserve punishment. If you feel happy and good to kill another and if you feel you are free to kill and you continue killing you and your loved ones will end up in deserving the fruit of your deeds. These basic lessons are entrenched in man through parents and community education. If you are a human and want to talk to another human there are good and positive ways to talk. If you are annoyed with another the human ways of communicating will be to invite his attention cordially and you will succeed in giving your thoughts to him. If you don’t want to communicate positively and you only want to transfer your hatred and induce hatred in another Malinda is doing it right. “The constitution planned by the government will not be drafted to the Tamils’ satisfaction unless accountability issues were satisfactorily addressed prior to that”. An interesting theory that. It’s interesting to know that you think it’s an interesting theory! By the way, let me give you an example for you to understand the issue. I recently found out my parent’s house that I grew up had been leveled few years ago in a HSZ in North. Satellite maps of that area from one source taken in 2011 is still showing the house and a temple that my grandparents built fifty years ago. Satellite map from another source that was taken in 2015 is now showing that area as a leveled field. We know our options to settle this issue. What would you do if you were born and raised in that region? This is what the CM is talking about! Your house should be a former LTTE hide out. LOL. Erroneously?? where have you been in the last 60 years? Does the Sri Lankan state have anything but a Sinhala slant? the sun rises from the East, is that an erroneous statement too? This is another classic example of a Sinhala majoritarian claiming Tamils rejecting Sinhala majoritarianism or Sinhala hegemony as Tamil nationalism. 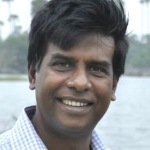 Tamils will get nothing from a new constitution, Tamils are not in a position or too powerless to influence the new constitution or challenge Sinhala majoritarianism. The Sinhala elite want nothing but hegemony. The killings of batches of Tamil Civilians commenced in 1956 and were recorded until 2001. All are on record in/on the web by the North East Secretariat Of Human Rights – NESOHR. These are mainly ignored, and were the reason for Tamils’ armed insurgency – labelled “Eelam Wars”. Malinda may be unaware, or ignores them. “Eelam” demands and the birth of LTTE, were the consequences of these massacres. would you be kind and reasonable enough to give us a detailed breakdown of those 115 so called massacres. First you tell me the reasoning behind the assasination of Alfred Dorayappah, which was clearly not a Sinhala military job!but was a definite turning point in ethnic warfare? Sri Lanka has a long way to go in streamlining its judiciary, and becoming a safe Country if a terrorist like you is still not arrested for public terrorist statements you post. The way things are proceeding soon we will see scenes worse than what we saw in 83,but there will be a difference.There will be no innocents targeted but the Tiger remnants and the separatist elements will be eliminated.What is most important will be unlike 83 this will be spontaneous.